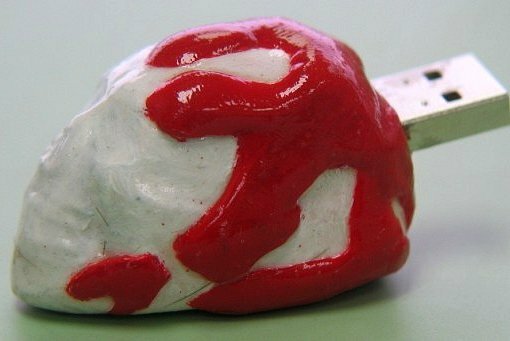 Are you a geek with a morbid fascination? Do you like to conjure up some Halloween or Dias De Los Muertos on your computer? Then let me dig up some skeleton flash drives for your examination. 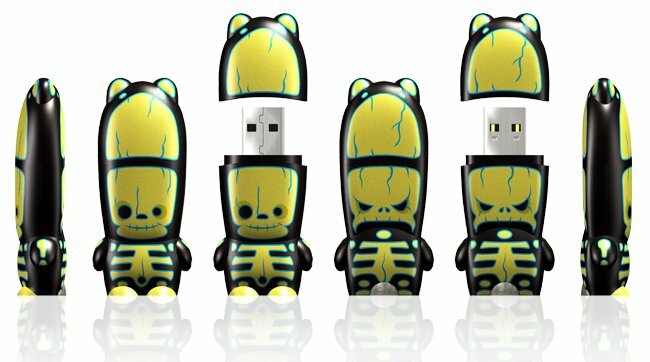 First from the Mimobot series, we have the RayD80 skeleton memory stick. This freaky character from Planet Blõôh comes with desktop extras, an issue of mimoZine magazine and character sound bytes when plugging in or out. The RayD80 has a bone load of 1-8GB and a limited release of 2000. Closer to home and more for the medicinal nerd, we also have human skeletons. 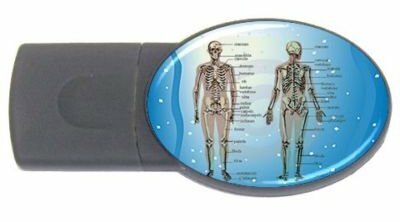 With an anatomy of 2GB this skeleton memory stick can easily prove to be the backbone of your file system. And if your real one hurts sitting in that computer chair, you can take a look at the image and impress your doctor the following day. A little less dramatic and grotesque we dig on to find dog bone flash drives. With a capacity of up to 8GB you can smoothly transplant the marrow of your data with them. And how nice it is to plug a bone instead of picking one with your neighbor. If you tell me however you’d rather like your bones buried (and maybe your neighbor too) then I have something for you also. 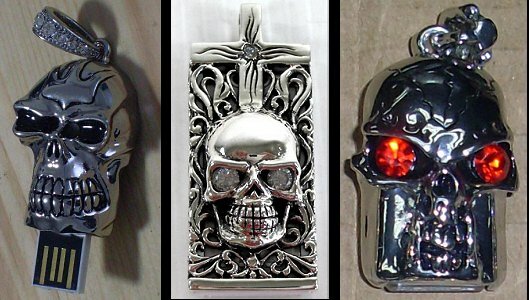 Coffin flash drives! 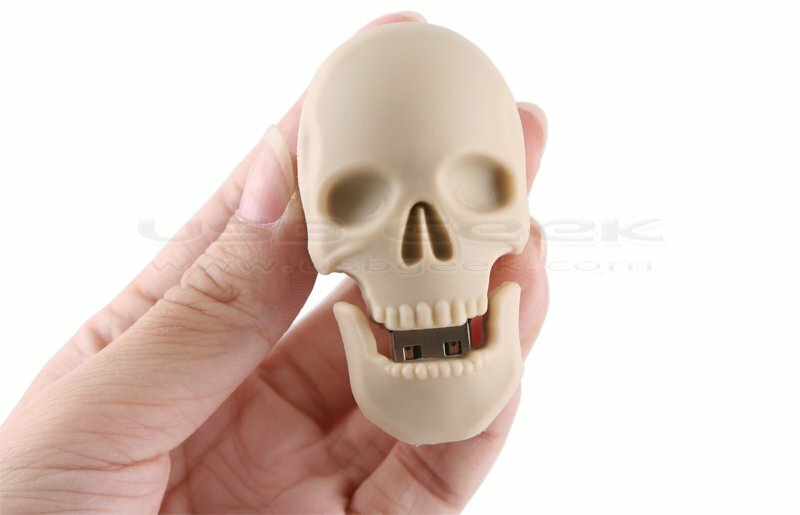 Unfortunately, some of these skeleton flash drives are pretty rare to find. I guess they just don’t like to come out of the closet. And lets face it, it’s doubtful that USB skeleton keys will open many doors for you. One thing is sure though: Your computer will meet death in a positive way. These drives are really unique. These would be perfect for a chopper rider… or something like this. Anyway, they look funny! The oval skeleton flash drive is great. Unique designs. Hippie USB flash drives. This might be cool for the teenagers.